This dress is gorgeous and a great eye-catcher on stage. 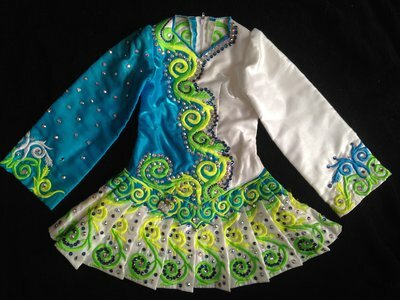 With hundreds of Swarovski crystals, it sparkles as she dances. 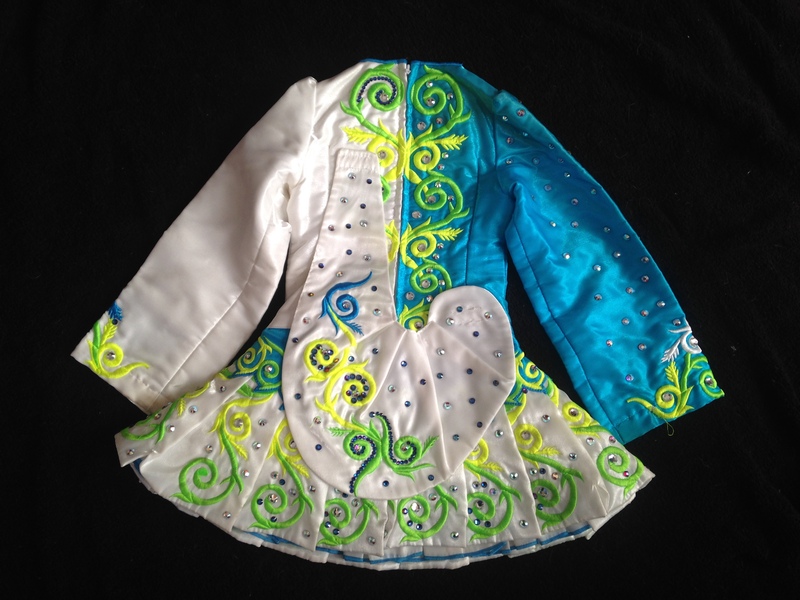 My daughter has recalled twice at Oireachtas with this dress and is sad to have to sell it since she has grown out of it. 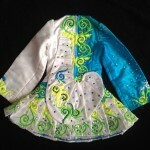 Your dancer will love it! Dress has over 2 inches for let-out in bodice length and 4 inches on each side of the skirt.